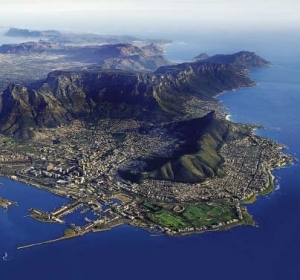 Join us for an exciting two week choral singing study program in South Africa! A collaboration between Village Harmony and SongRoutes - this trip will be a combination of intensive music and dance study, performances, sightseeing, walking/hiking, wine tasting and adventure! 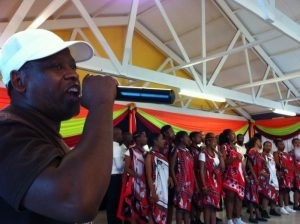 An amazing opportunity to experience the rich music, culture, history, tradition and people of South Africa. During our rehearsal week we will of focus on learning South African songs and their dances, including traditional gospel, church chorus, folk and struggle songs. 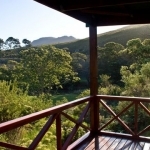 We will study with Bongani Magatyana and Matlakala Bopape at the beautiful Volmoed Retreat Center in the Hemel-en-Aarde Valley about 90 minutes away from Cape Town. We will learn dance movements for every song and Bongani will teach anyone who is interested the basic steps for miners’ gumboot dancing. Four Sotho and Xhosa singers from Bongani’s choirs will join us as full participants in the camp, enriching the learning experience and the cultural exchange all around. We will be singing and learning for about 6 hours a day during this period. Initial days will be full-out rehearsals with self-catering meals. 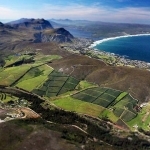 Later in the week, excursions will include a winery visit, a trip to Stony Point to see penguin colonies, a visit to nearby towns Hermanus & Gansbaai, beaches, Sunday church service and an evening concert at the Camphill Community adjacent to Volmoed. For the second week we will leave Hermanus and go to Harbouredge Apartments -our home in Cape Town for the week. Matlakala and Bongani will arrange a week of concerts and collaborations with local choirs in and around the city while we take every possible opportunity to explore the beautiful sights of the Cape. We will have several performances of our South African repertoire and musical exchanges with school choirs, a prison choir and Bongani's church choir. 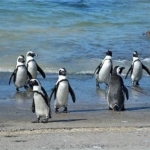 We will also enjoy excursions to a winery, Table Mountain tramway, Lion's Head hike, Robben Island boat tour, museums, a city tour and more penguins! We have room for 28 singers and are hoping for a balance between SATB sections. This trip will be self-catered though we will be providing all of the groceries and will treat each other with a rotating cooking schedule - a fun way to spend time together as a group! BONGANI MAGATYANA is a professional singer /music director /composer /theatrical producer living in Khayelitsha Township in Cape Town, South Africa. He was born in Cape Town in a township called Old Crossroads; his father was a self-taught choir conductor in the Old Apostolic Church. 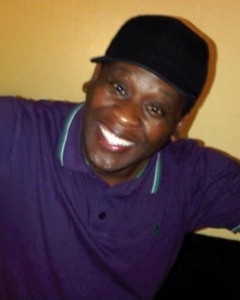 Bongani’s father taught him how to read and write tonic solfa music notation at a very young age, and young Bongani dreamt of becoming a church choir conductor, too. A very popular composer and conductor, his folk-inspired choral compositions—popular pieces for South Africa’s major choral competitions—are sung by choirs around South Africa and internationally. Last year Bongani directed African musical " Songs of this Soil " for Artscape theatre and composed/directed an African musical "Finding David "for Capetown Opera .This year Bongani composing music/directing an African musical called "People of Nyalashishi" a musical about Xhosa and San people and is working on a new commission by Capetown Opera company. Bongani's first love is leading South African folk music workshops. He has been teaching around the world -Norway ,U.K. , Germany ,Nertherlands and USA. He is a wonderful dancer as well as singer, and he is particularly adept at communicating the elusive rhythms of South African songs. MATLAKALA BOPAPE, of Polokwane, South Africa, is the director of Polokwane Choral Society—a community-based group whose aim is nurturing musical talent in African society. As a director, Matlakala is committed to drawing out musical excellence from her singers, as well as exposing them to musical cultures of the world. 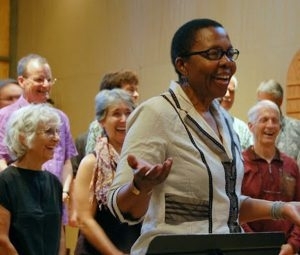 Her limitless patience, careful attention to vocal technique, and rich repertoire of folk and contemporary South African choral music make her a formidable teacher.